Well here I am, back again, I bet that's a surprise! Not. Where there's a will there's a way. I still don't have a phone, or my laptop, but with David's laptop (God it's slow), a good dose of rain and free Wi-Fi where we're staying, I'm managing to bring you a Stewart Island blog! It might not be as slick as my usual posts; I don't have my photo processing programmes to work with and I can't do story boards so there might be a few too many single photos, but I'm sure you'll still enjoy it. 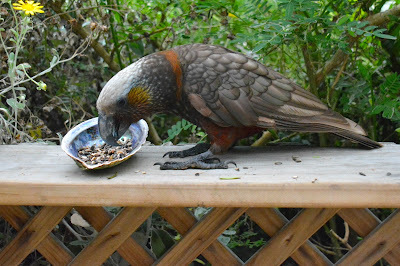 So while we should be kiwi spotting on a beach tonight I am instead writing you a blog. It started raining during the night and it hasn't let up all day. We pulled the pin on the kiwi spotting trip late afternoon and I suspect it will have been cancelled now anyway. At least we have 7 more nights to re-book unlike the many people we have met who come to Stewart Island just for a night. At this stage we are re-booked for Monday. Rachel got us to Bluff wharf well ahead of schedule (it's just an hours drive from Winton) and then proceeded to 'own' the wharf, passengers & crew, regaling anyone who'd listen about the horrendous crossing they'd had to Stewart Island last Easter; when everyone one was as crook as a dog, the waves were crashing over the top of the ferry and they had to be offloaded in another bay because the harbour was inaccessible. Like we wanted to know all this just before we were set to sail? She's definitely her father's daughter! We thought our bags must have been in one of these bins when we heard the guy operating the hi-ab call out to the forklift operator that they were a bit too heavy for the arm. 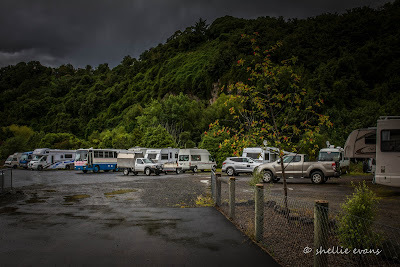 You'd think that after living in a RV for the last 30 months we'd have learnt to travel lightly. But we needed packs, tramping gear, wet weather gear, fishing gear, camera gear, warm jackets, a selection of food, wine & liquor along with our everyday wear. We're here for 9 days and you never know what the island is going to throw at us. 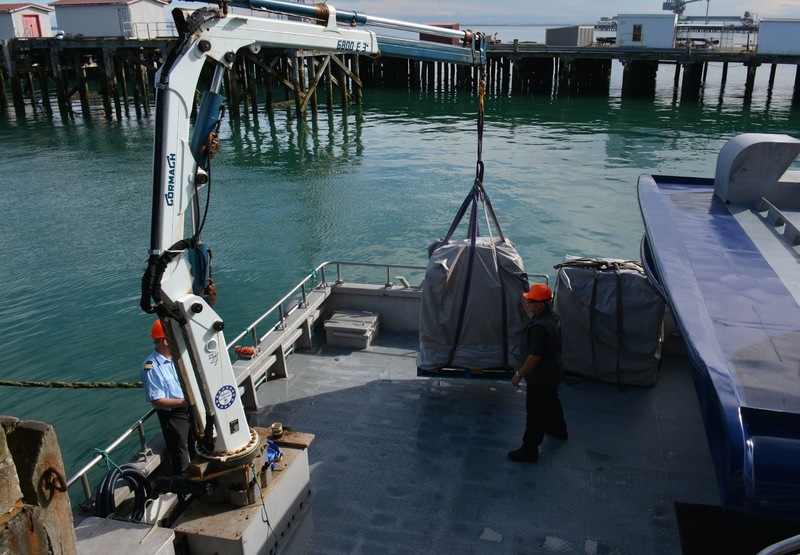 Anyway, we mustn't have been the only ones with heavy bags, by the time the ferry was set to sail the back deck was two thirds full of covered bins and the total weight, I heard the guy mention, was 4000kgs. 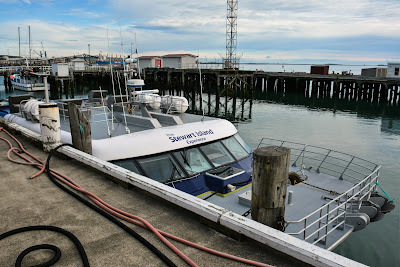 It was a full load of passengers too, well nearly- 64 of a possible 65 passengers including a small group of overseas people on a guided bird tour of New Zealand. 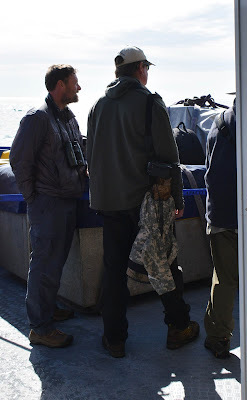 While I have never met Brent the tour leader and owner of Wrybill Touring before, I know of him well. 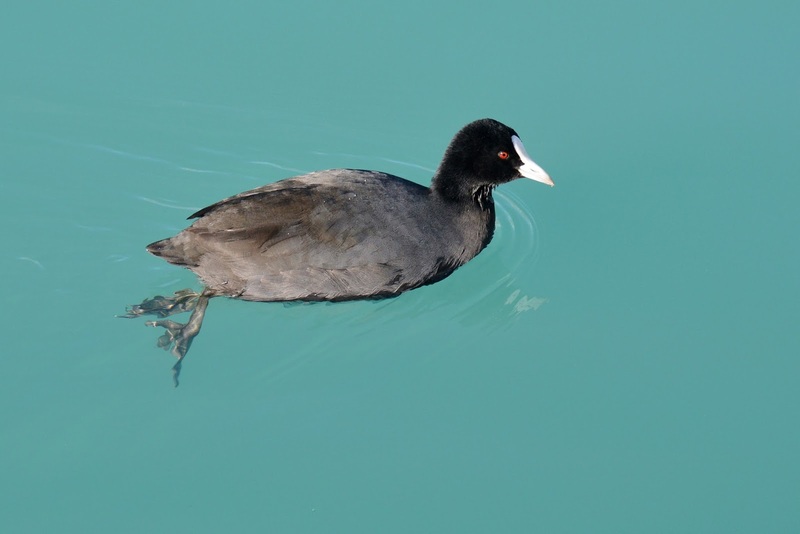 He belongs to a bird forum that I contribute to and he also hails from Napier, my home town. It was great to meet him and say hello. And while I was at it, admire that lens! Now that is a beast (lens envy here), imagine carting that around all day. And in case you're not quite sure, yes that is the end of it sticking out of the camouflage cover at knee level. 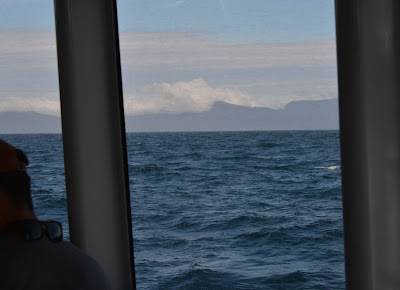 With so many on board, and many of them out the back taking up the small amount of space available in front of the bins, including all of the birders scanning the ocean for sea birds, I could only take a couple photos from indoors as we approached Stewart Island. 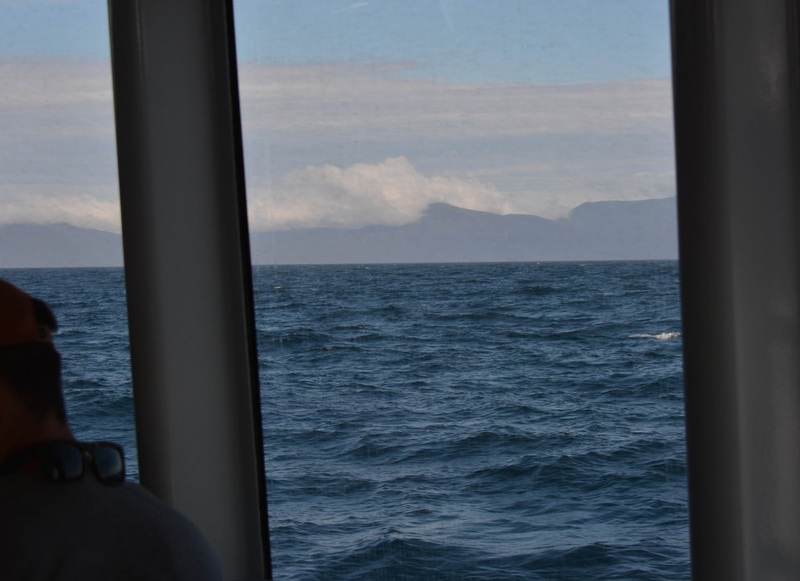 We had a good, fast crossing travelling at about 24knots, with just a little bit of chop. 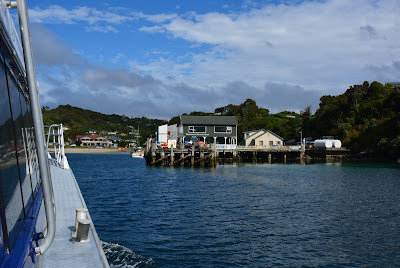 I managed to squeeze into a gap as we approached the wharf at Halfmoon Bay. Where waiting to greet us was Lola and her owner. 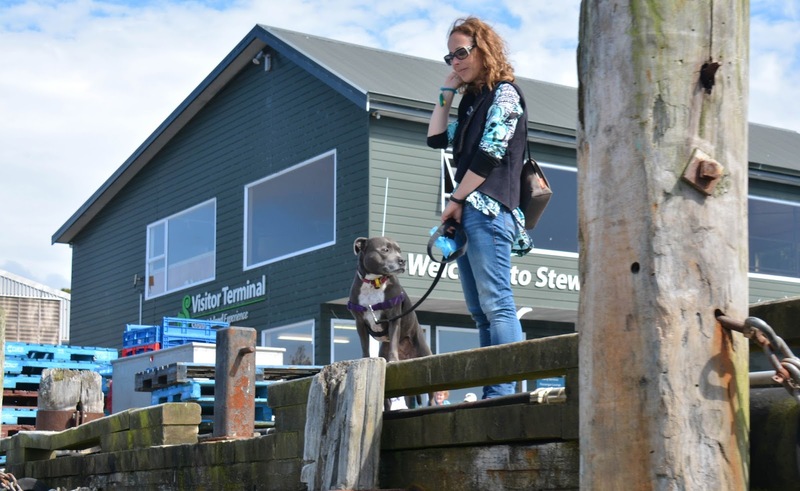 Lola was there in her official capacity as 'top dog' of Stewart Island. Lola is the star of her own movie 'A Local's Tail', a 40 minute movie that can be viewed at the local cinema. Told in her own 'words' Lola introduces Stewart Island's history and local characters to visitors. We have yet to see the film, we'll save it for another rainy day- there's sure to be one around the corner. 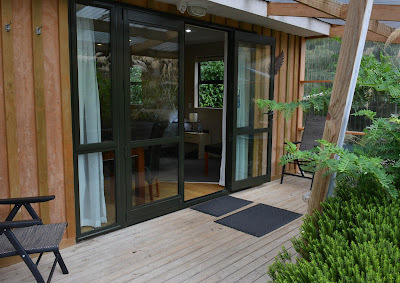 In case you hadn't guessed, we're staying at Kaka Retreat Motel, a delightful place with a small number of units set in amongst the bush and just a short leisurely stroll downhill (or a short steep climb uphill) to the township of Oban. 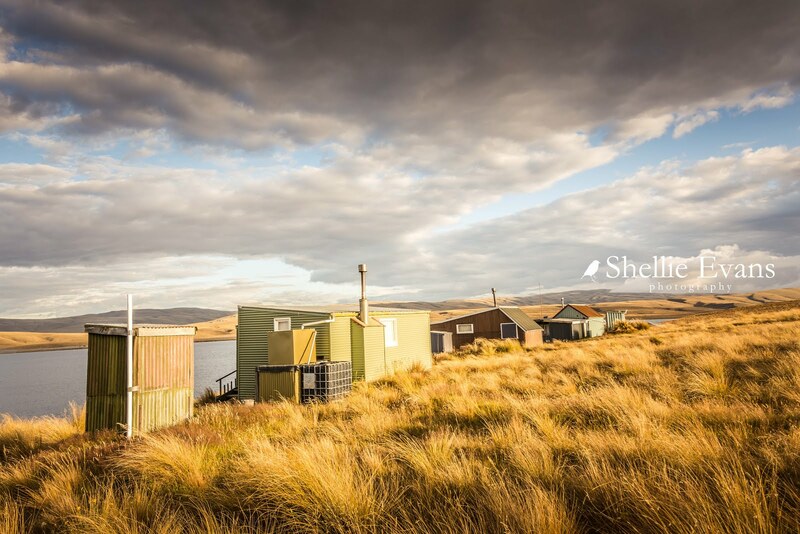 The one and only township on this island with a permanent population of around 400 people. The bird life is amazing, absolutely fabulous. 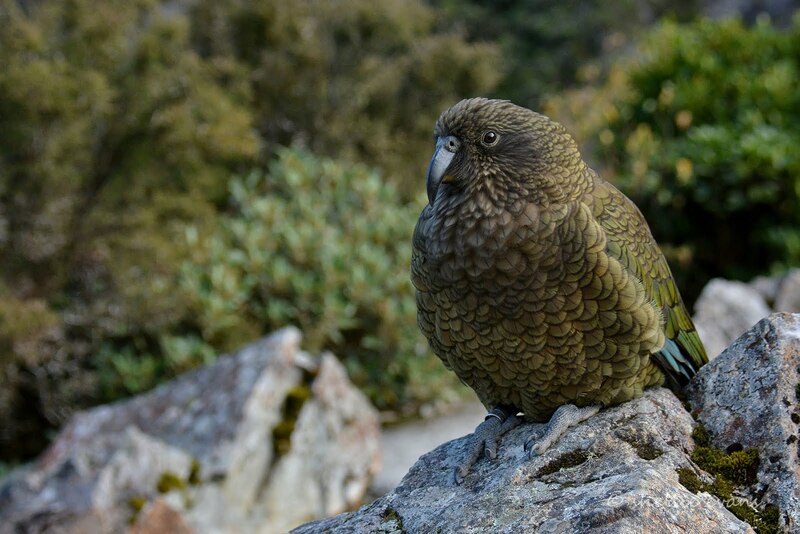 There's dozens of Kereru/Wood Pigeons and tui flying about, we've seen and heard native parakeets/Kakariki and there are quite a number of kaka (a gang) that call the township home, flying from place to place to the amusement of visitors including us here at Kaka Retreat. 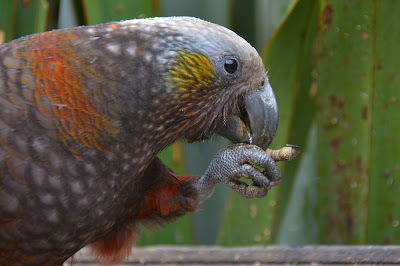 They are extremely noisy birds, especially early morning and evening, sometimes I think I'm in Aussie listening to their parrot chorus, not way down the south of New Zealand. 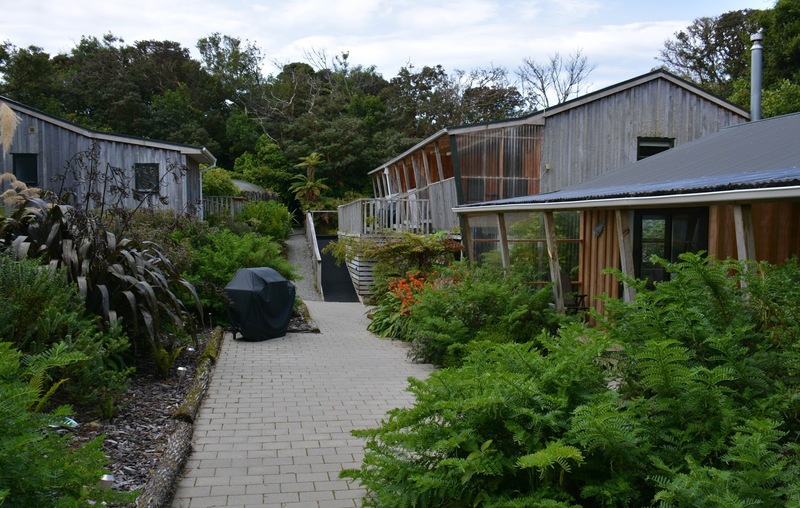 Of course the Kaka Retreat wouldn't be complete without the native Kaka Beak plant growing. 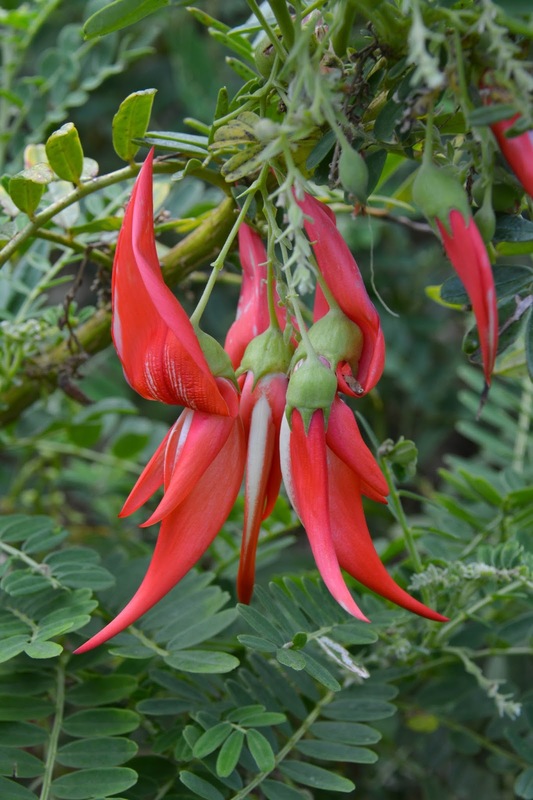 You can see how the plant got it's name. And the stars themselves, the cheeky but endearing Kaka. 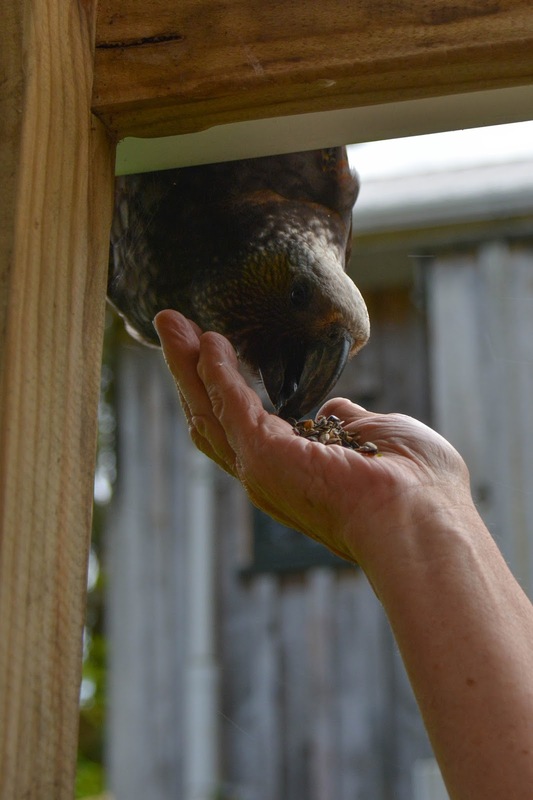 There are a couple of feeding platforms located in the garden of the motel and every evening sunflower seed is put out for the kaka. 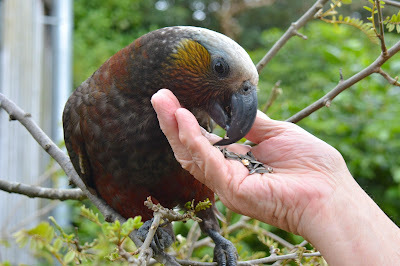 They are mostly very friendly and will take seed out of your hand ever so gently, you'd hardly know they were choosing just one seed to de-husk. Some are a bit shy and are content to feed themselves. 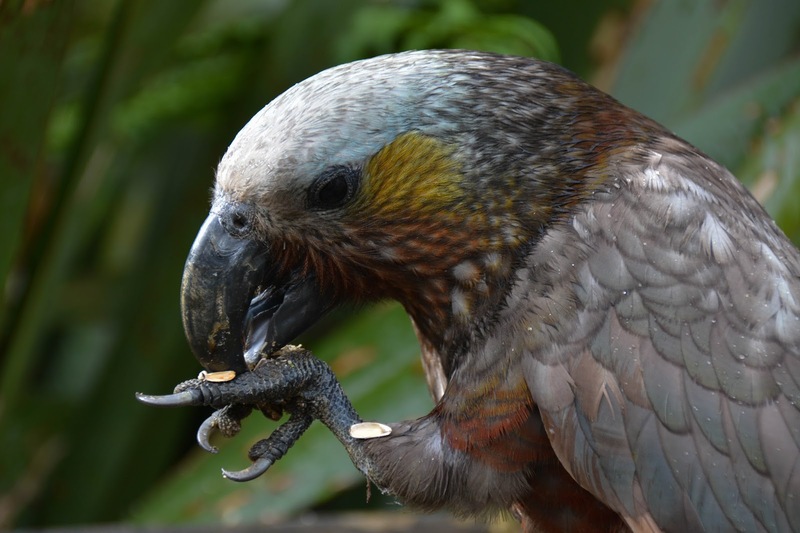 Others are extremely nosey and think they might like to steal some of your crackers and cheese, or to dip their beak in your glass of wine- both a big no-no. But who is going to argue with that beak? 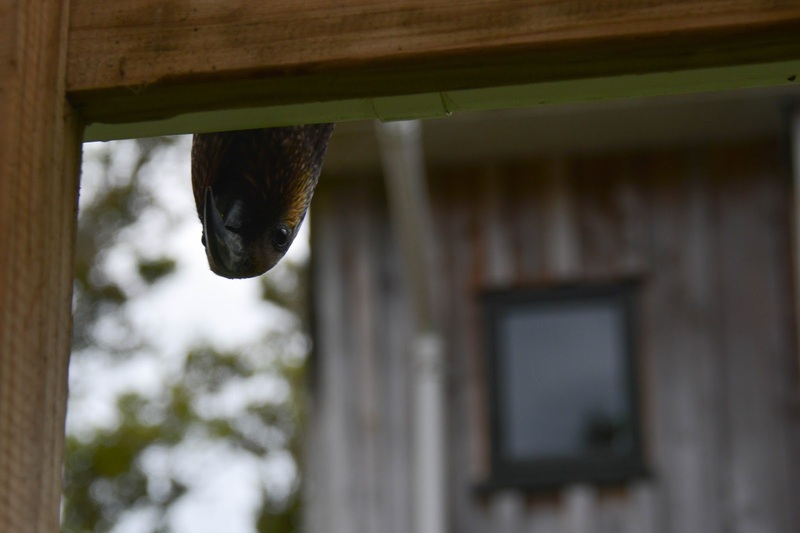 With no crackers on offer they're happy to take the sunflower seeds while hanging awkwardly off the guttering along the roof. And to finally settle on the deck railing and feed out of a paua shell I commandeered and filled with seed. 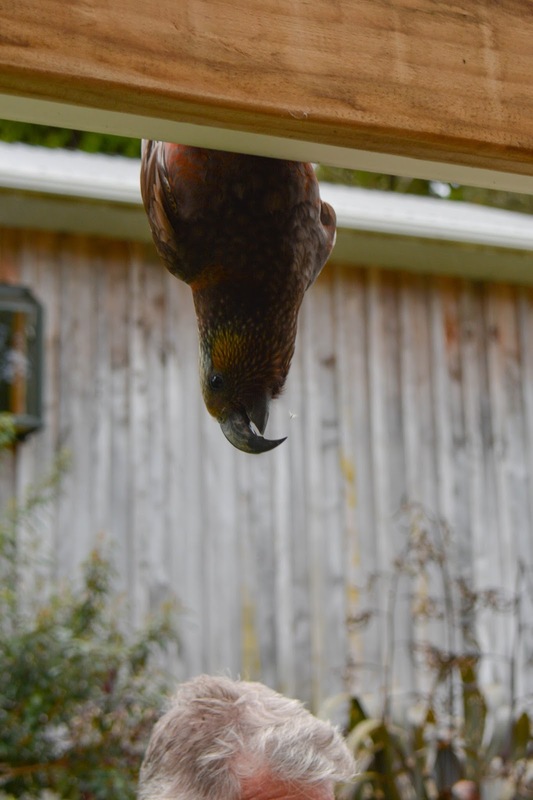 By the time we leave Stewart Island I'm sure I'm going to have hundreds of kaka photos. 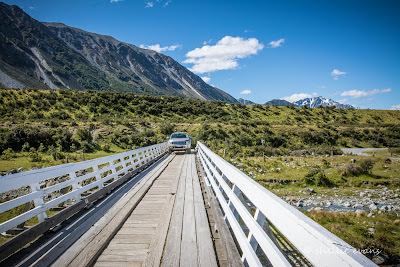 After settling into our room (and marvelling at the size- we could fit three of our 5th-wheelers into the space) it was time to walk into town and pick up some supplies. 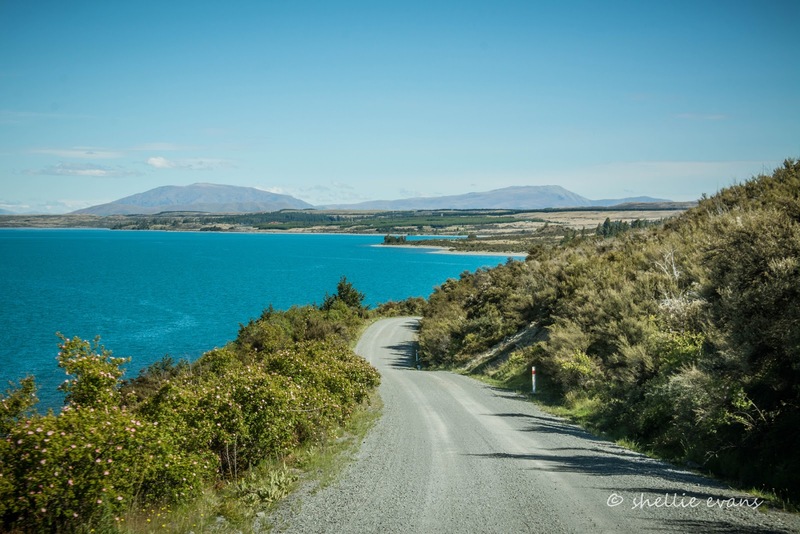 With just 28kms of road on the island there aren't too many cars but still, the locals that do drive, have problems with visitors walking all over the road instead of along the edge or on the few footpaths. 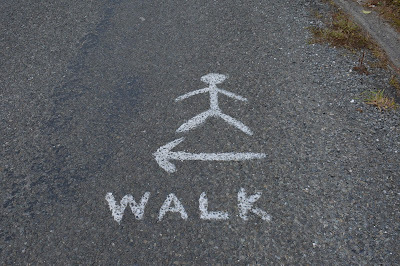 Obviously someone got frustrated and painted their own sign here. Unlike today, yesterday was hot and sunny and after collecting a few grocery items at the store we headed over to the hotel for an icecream and to check out the menu- just one of 3 eating places in town. 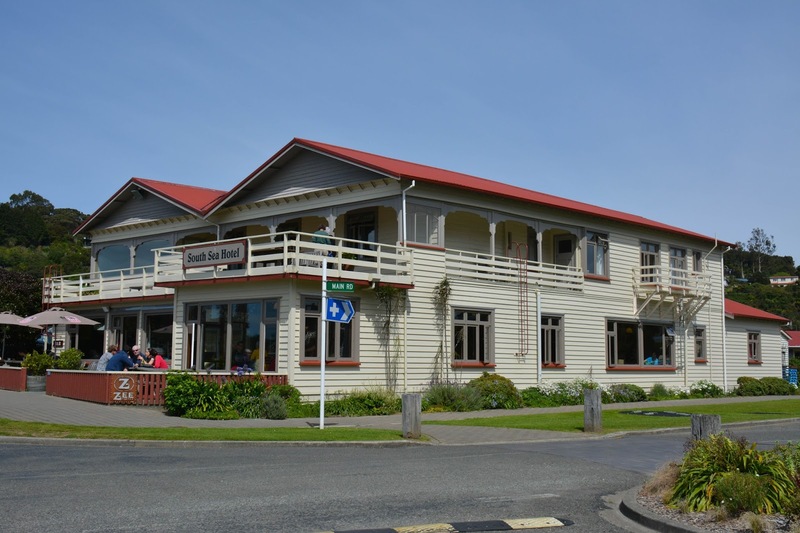 This is the famous South Sea Hotel where every Sunday night there's a raucous and bawdy quiz night with an equally loud and bawdy quiz master(mistress). 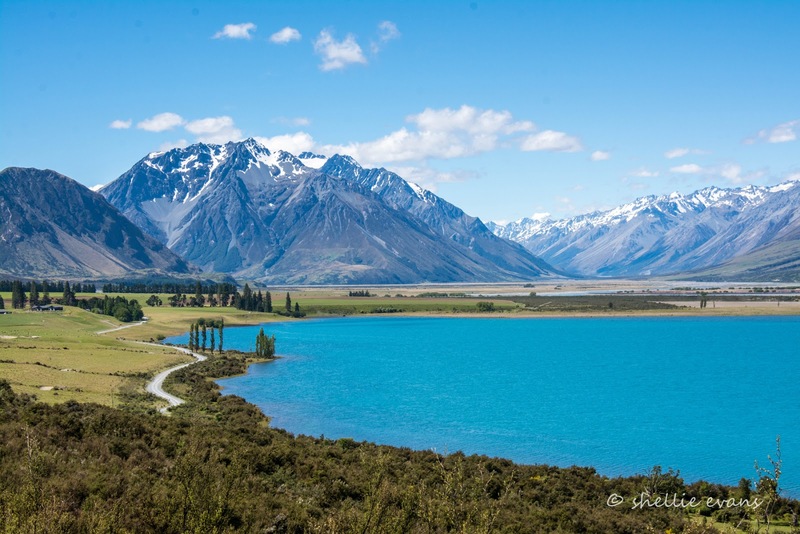 The quiz night turned out to be one of Prince Harry's highlights on his recent visit to NZ. We'll hopefully check it out on Sunday. 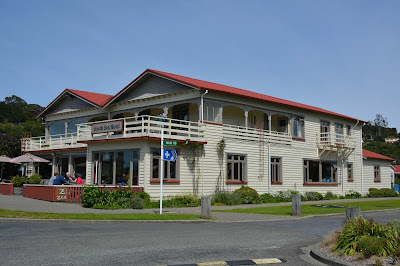 We returned to the pub later in the evening for dinner and had one of the best restaurant meals in a long while. A seafood medley baked in a parchment parcel with fresh seasonal vegetables. It was outstanding. What a difference a night makes. This is what we woke up to this morning; raining, grey and dismal outside. 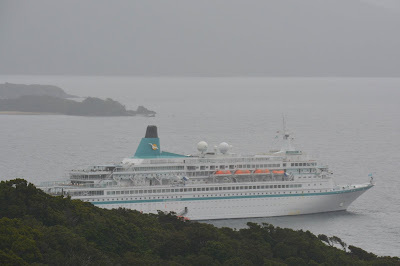 We'd been warned that a small cruise ship was visiting the island today and it would be best to avoid Ulva Island and any of the tours around town. 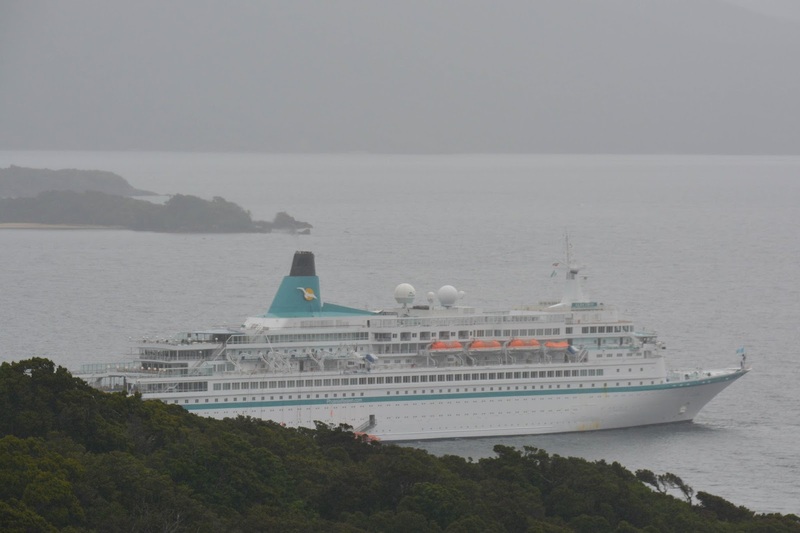 The small cruise ship with just 600, mostly German passengers, was anchored over the hill in Paterson Inlet. 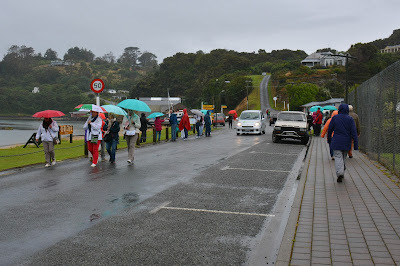 I would think that most stayed on board but many that did venture into town were easy to spot as they carried the boat's aqua coloured umbrellas. 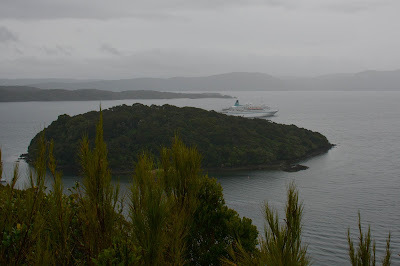 It's another short sharp climb up and over the hill to Golden Bay & Paterson Inlet where, after we walked to Observation Rock, we could see the ship anchored behind Iona Island. Ulva Island is the next one over. In early March a large cruise ship is due to visit which will have 1800 passengers on board. I can't imagine how big an impact all those people will have on the town tours and short walks in the area and especially on Ulva Island, which is an open bird sanctuary. 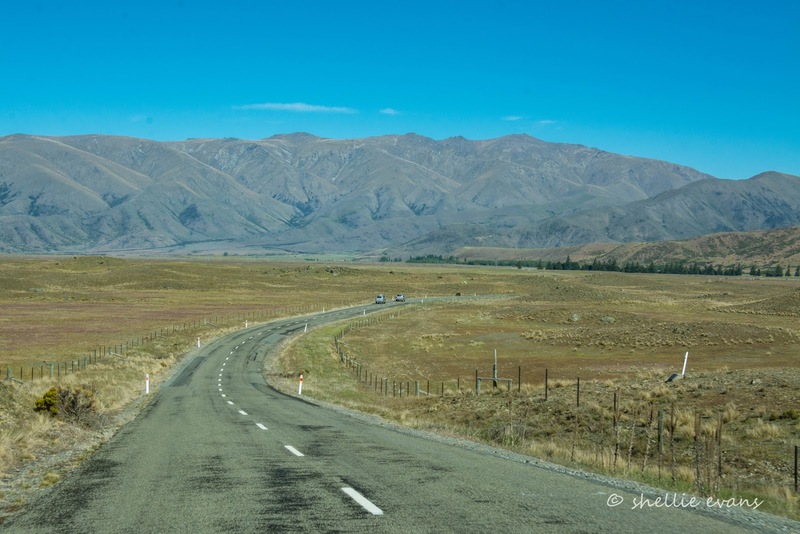 It will be good for the economy but the town will be stretched to capacity. Even today it was very busy all things considered. 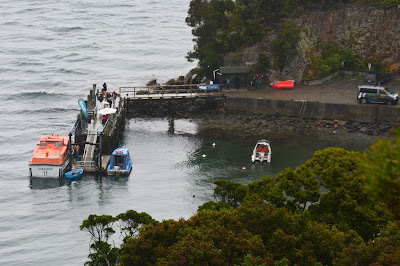 From Observation Rock we could see the ship's tender ferrying the mostly older guests back and forward from the boat to the wharf. They then had that rather steep climb up and over to town and then back again after they were finished wandering around. 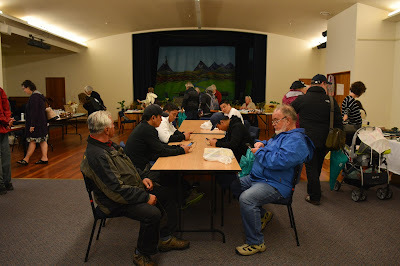 The local market with gift and food stalls was conveniently being held in the hall which also offered some welcomed seating and shelter from the weather. 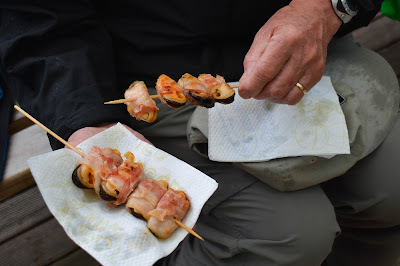 We bought some bacon wrapped mussel kebabs for a snack- at $4 a stick they were quite expensive but very tasty all the same. 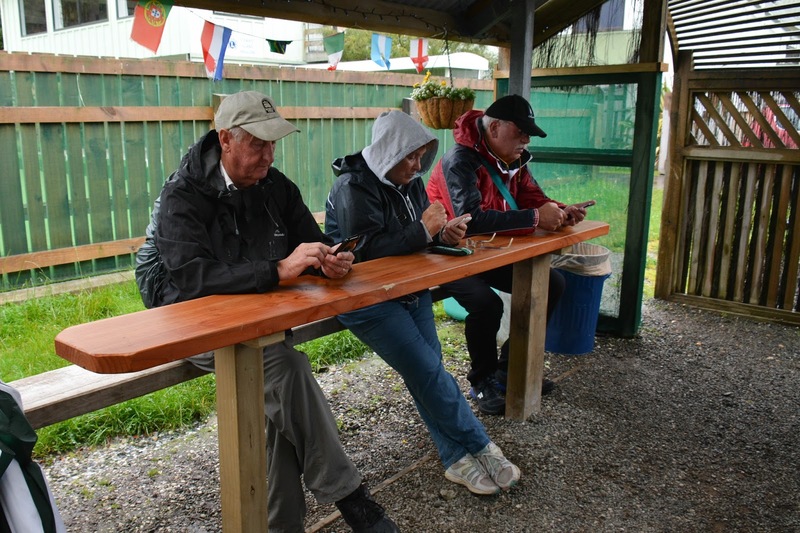 We also bought some local smoked salmon and then found out-when we went for a walk tonight- that the smoke house is located right beside us here at Kaka Retreat. Just through the bush from out unit. We haven't smelt any smoke or salmon yet. Inside the hall the gift stalls were lined up around the outside with a long table down the centre with a number of people sitting at it intently staring at their mobile phones; the library in the room next door offers free Wi-Fi. 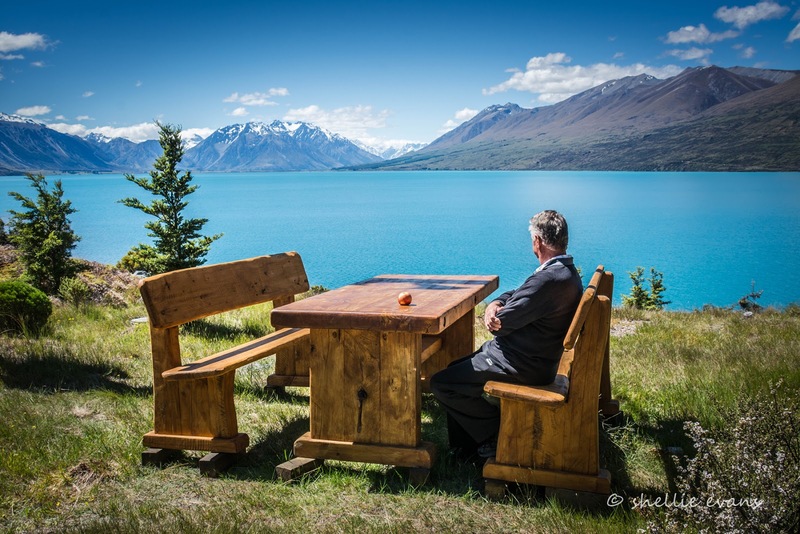 I reckon they would have made a lot more money if they charged them all $10 to sit at the table! I guess it made the market look busy. 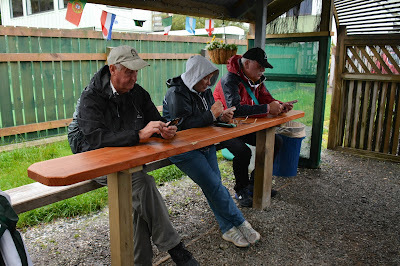 Mind you look who is now checking his phone along with a couple of others. We've now parked our bums on the bench seat at the Kai Kart Diner while waiting for our bowl of chowder for lunch. 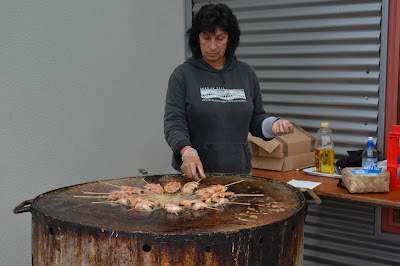 It's been seafood, seafood, see food (and eat it), all the way so far and we're only 24 hours into a nine day stay. 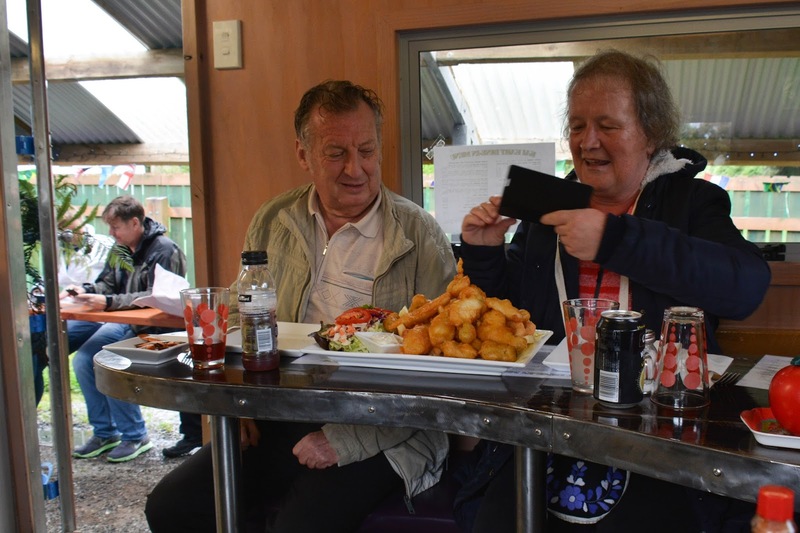 The Kai Kart is world famous in Stewart Island and has an excellent selection of seafood dishes, both eat in and take-away. I'll post a photo of the diner when it's stopped raining. We moved to the tiny inside seating area of Kai Kart where three Americans (who we had a good chat with) were finishing their lunch and these two German passengers from the cruise ship were just receiving their seafood platter. They couldn't believe (and we couldn't either) the size of the dish. We left before they finished and I bet they did too! Excuse any mistakes- I'm off to bed before proof-reading. I'll do that in the morning before most of you will even see this. Enjoy. 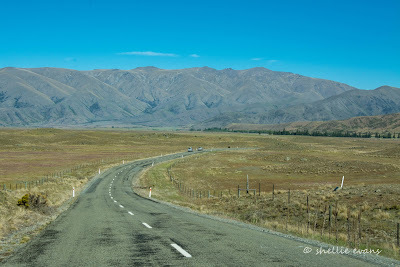 We’ve just arrived back in Winton after a very busy few days catching up with family in Dunedin. I have plenty to tell you about but unfortunately once again you’ll have to wait until I catch up to-date, which, at the rate that is happening, will be sometime mid year! I mean, for goodness sake, I haven’t even got to last Christmas yet. We need to stop doing things and I need to stop taking photos- I also need a solid couple of weeks to do totally blog business and nothing else. Like that’s going happen anytime soon. Not. for the wet and stormy hour that passed just before I took this shot. And it’s about now that I need to tell you that this is likely to be my last blog post for a couple of weeks. For two reasons (actually three). 1- we are heading to Stewart Island for a break and it’s likely to be a very busy time, 2- my laptop is being sent away to finally (and hopefully) have a fault sorted, and number 3- I broke my phone in Dunedin. Don’t ask, but I blame my sister and a ‘Premier Margarita’ for that! 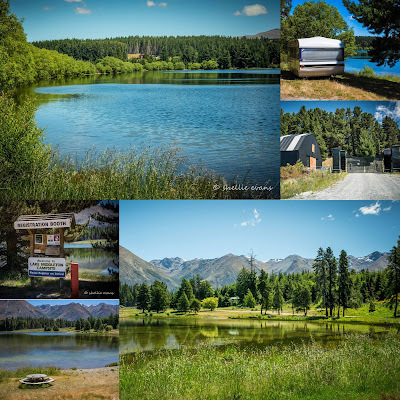 So here is another catch-up blog from our time parked up at Lake Ruataniwha in the Mackenzie Country. 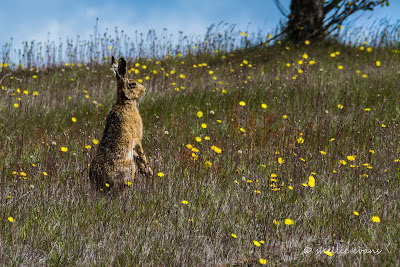 If you have been following the blog for some time you’ll know that I’ve been chasing(literally) a close up photo of the hares that we keep seeing racing off around the countryside. And you’ll also know that I’ve taken to calling them ‘teddy bears’ because of this post. Well, in the end I didn’t need to chase a hare, he came bounding along the track towards me. He stopping so close to the front of the ute that I couldn’t get him totally in the frame for a minute. And that’s when we saw why he was unaware of the danger he could have been in. This poor old boy was a bit moth-eaten, he only had one eye and I suspect he couldn’t see much out his other one either. 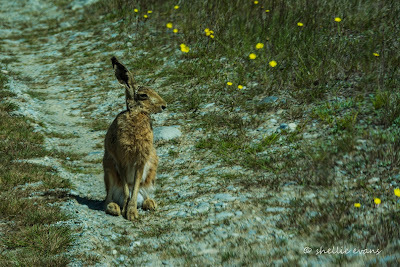 …and bounded off up the hillside, stopping to recheck his surroundings for a second before disappearing over the top. I felt rather sorry for him and wondered how long he would last. 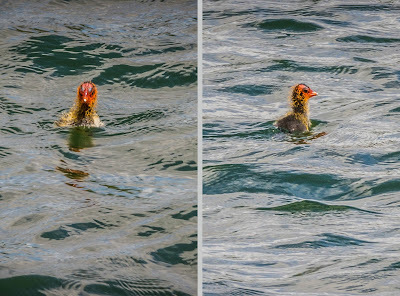 In the pond beside the track the hare approached us on, there were also some ‘ugly ducklings’- these are baby Australian Coots (slightly blurred I wasn’t ready for them) and they have got to be the ugliest babies I think I have ever seen. It’s no wonder the parents hide them under the rushes and they scatter when disturbed. Poor darlings, but at least they grow into something more acceptable. 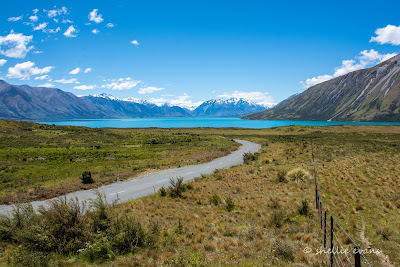 We left Kelland Pond behind and headed south down the main highway turning right into Lake Ohau Road. 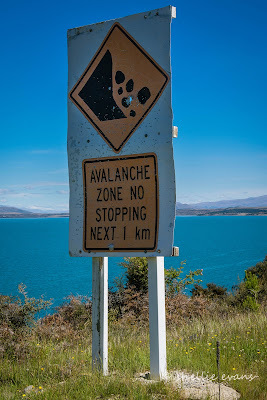 Thousands of people pass this sign daily on their way to and from Christchurch & Queenstown and I wonder how many think ‘what’s down there’ or ‘I must have a look down that road some day’. Today it’s our turn to explore it. Our target was to at least get to an ‘historic stone cottage’ we saw marked on one of our maps. …with the prominent & huge monolith Ben Ohau (1522m) standing proud across the water. 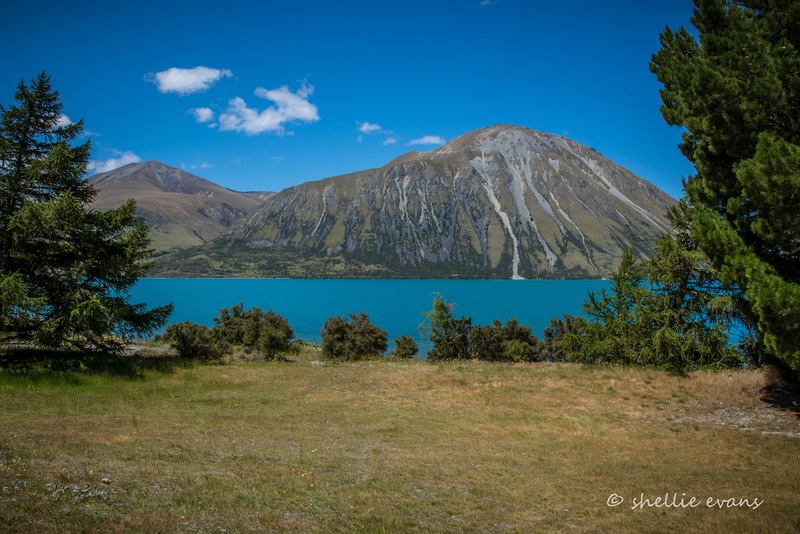 There’s a dam on the far right of Ben Ohau , it’s the first dam of the Ohau A, B, and C hydroelectricity canal system and downstream (or should that be downcanal) is Lake Ruataniwha. 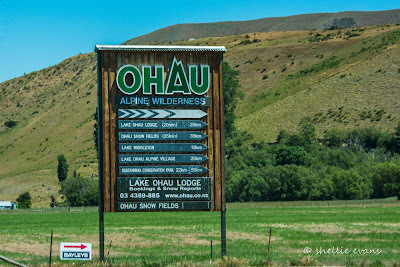 Actually there is still an Ohau River which flows beside the canal and empties into the lake too, but it’s at a much lighter flow than it used to be. 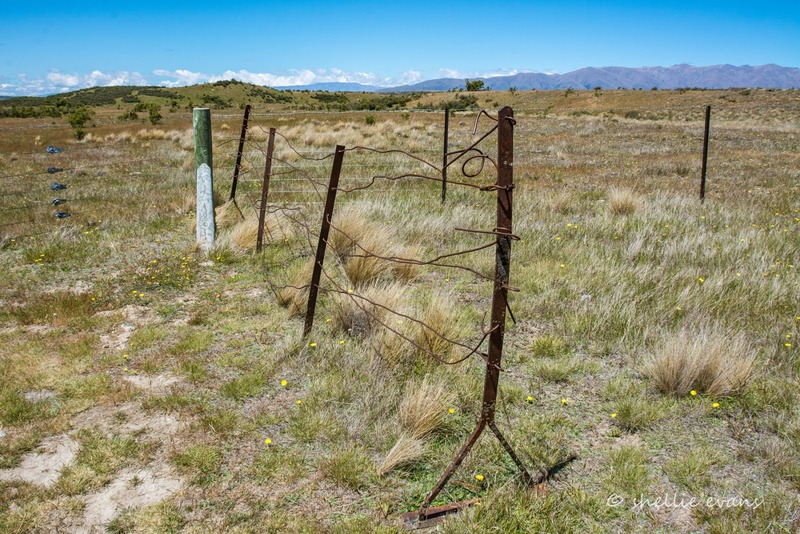 It was a surprise to find a historic site beside the road- this is the remains of a controversial boundary fence and spade line between Canterbury & Otago. 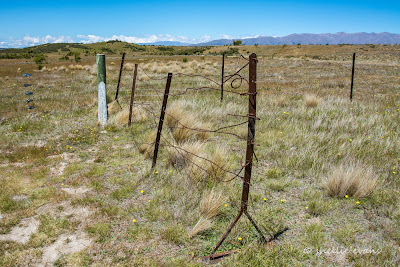 The boundary line was drawn using a ruler, it didn’t allow for natural features or the rights of established runholders. 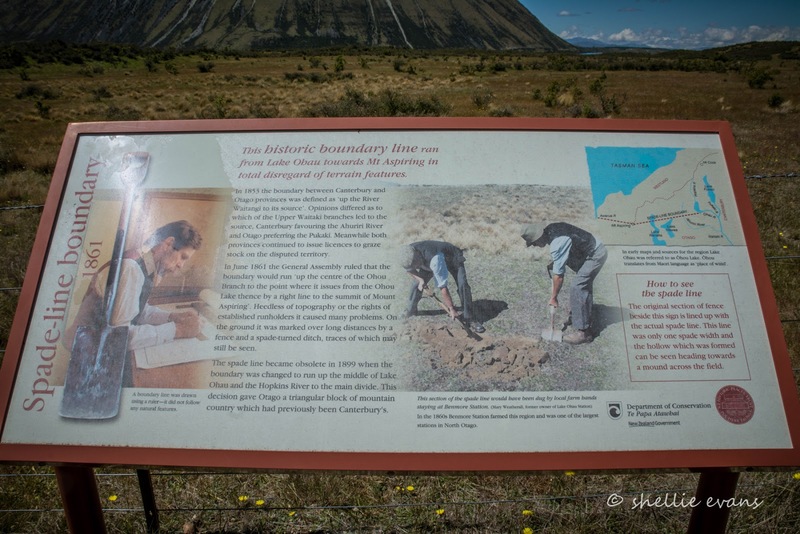 Click on the photo to enlarge if you’d like to read more about it. We could faintly see the spade line, a depression in the ground, off in the distance. 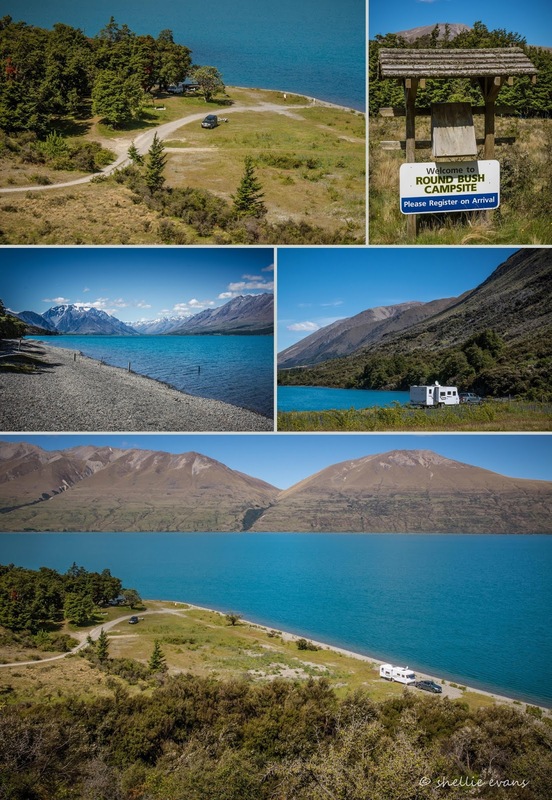 The campground extends to the other side of the road where there are leveller camping areas and amazing views across Lake Ohau to Ben Ohau. A basic amenity block is also on this side of the road. 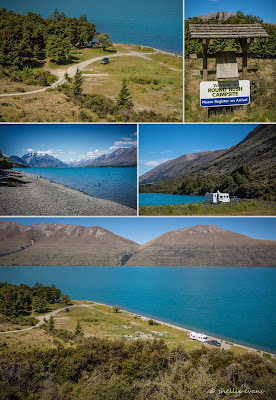 We take a side road up onto a small plateau and into the alpine village of Lake Ohau. It’s small and consists of mostly holiday homes and a few permanent residences. 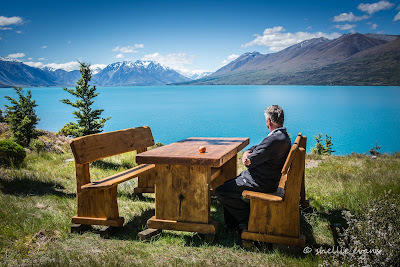 We stop at a tiny reserve with a huge table to have lunch and David decides this could quite easily be the place to retire to if we ever stop wandering (he might have second thoughts on a less than perfect day of course). 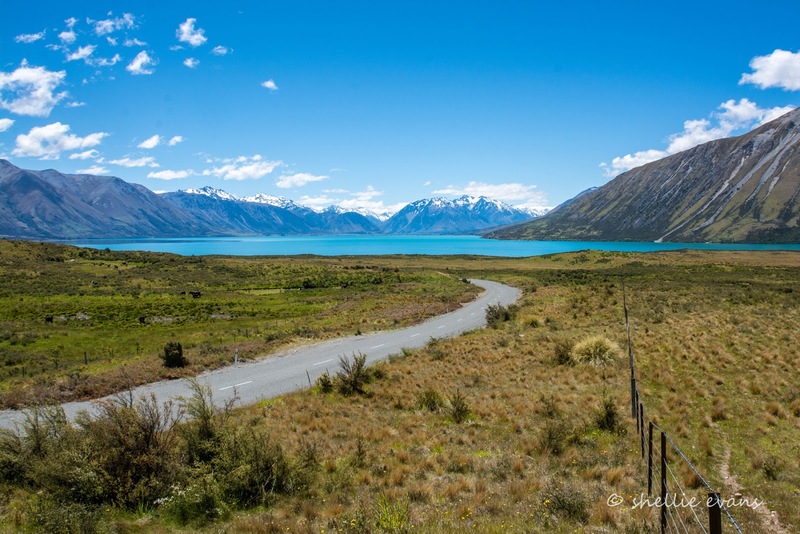 We’re high above the road and looking down the lake towards the Southern Alps and the views are magnificent- here’s a slightly distorted pano from my phone. 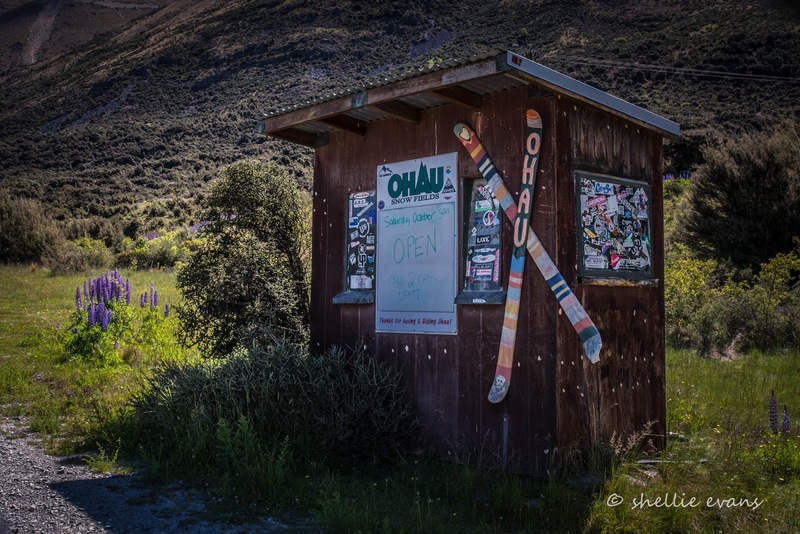 Our next side road detour takes us to the beginning of the Ohau Snow Fields road and the Ohau Lodge. This photo, taken back at Lake Middleton, shows the 10km snow field access road zig-zagging up the side of the mountain. 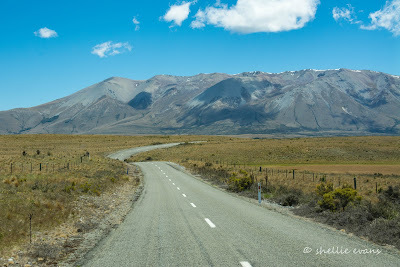 We decide to leave that road for another day; perhaps when there’s snow at the top. We carry on around the lake edge, the road has now turned to gravel, and dips and climbs along the bottom of the steep slopes of the mountains beside us. There are a number of avalanche warning signs highlighting the very steep areas where snow builds up and slides off the mountainside onto the road below. Further on and another DOC camp comes into view. 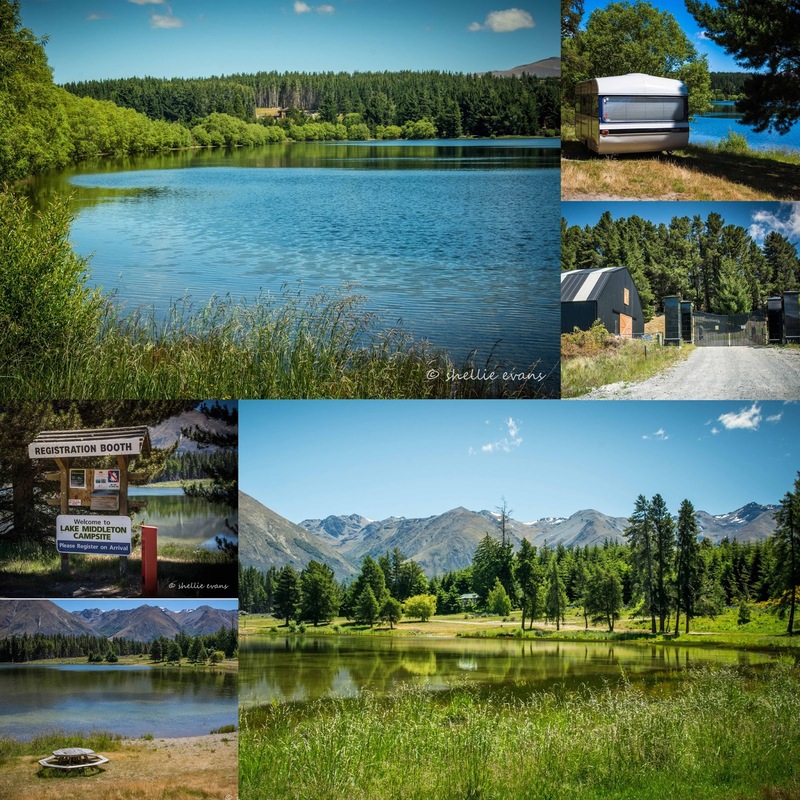 This is our type of camp; remote, lakeside, bird life, boat ramp and scenery to die for. Roundbush also has big sandflies. 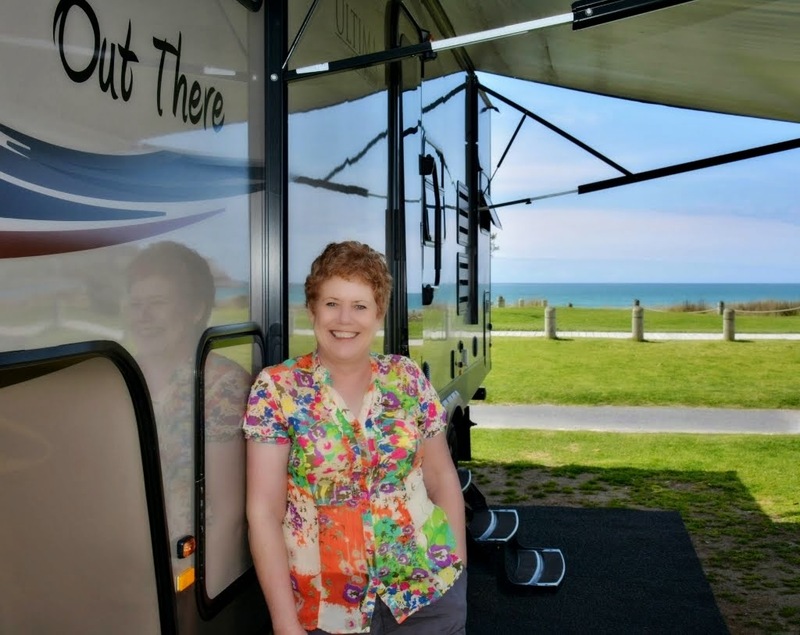 I talk to a couple of tourists who are hiding out in their campervan, they’re not sure they’ll last the distance. 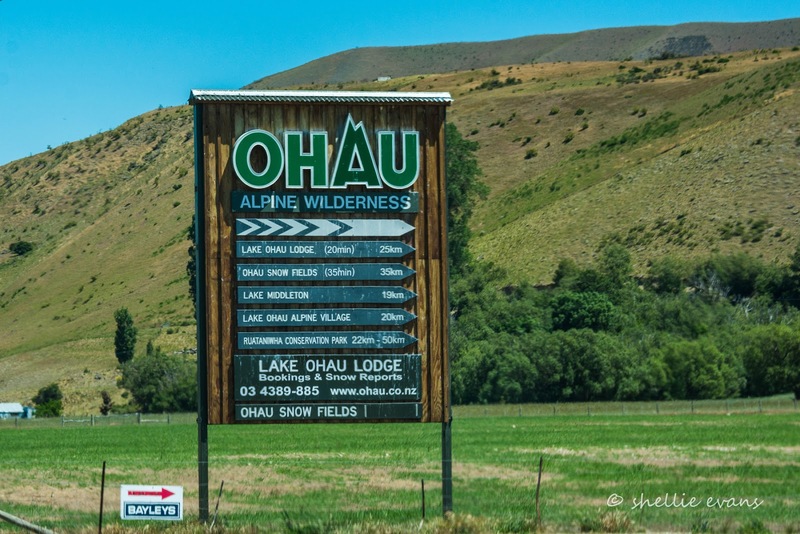 and the houses and farm buildings of Lake Ohau Station. And one of those buildings happens to be the historic cottage we were looking for. Hmmm….I’m not too sure who was the most surprised, me or David. 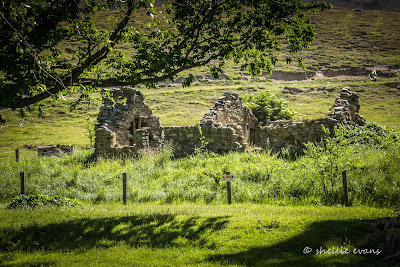 I don’t know why (because it is usually ruins) but we were both expecting to see a cutesy fully restored stone cottage. Oh well, you win some, you lose some. 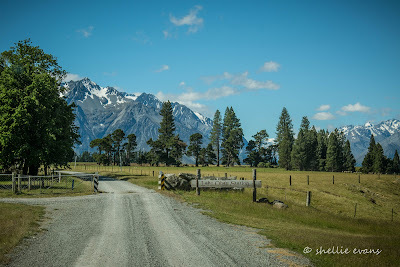 We drove on past the station homestead, slowing to let the farmer and his wildly excited pack of noisy sheepdogs cross in front of us. The road continues on into the Ruataniwha Conservation Park where there are a number of tramping tracks. It’s rugged and remote and I’ve since heard the road has a few washouts in it. 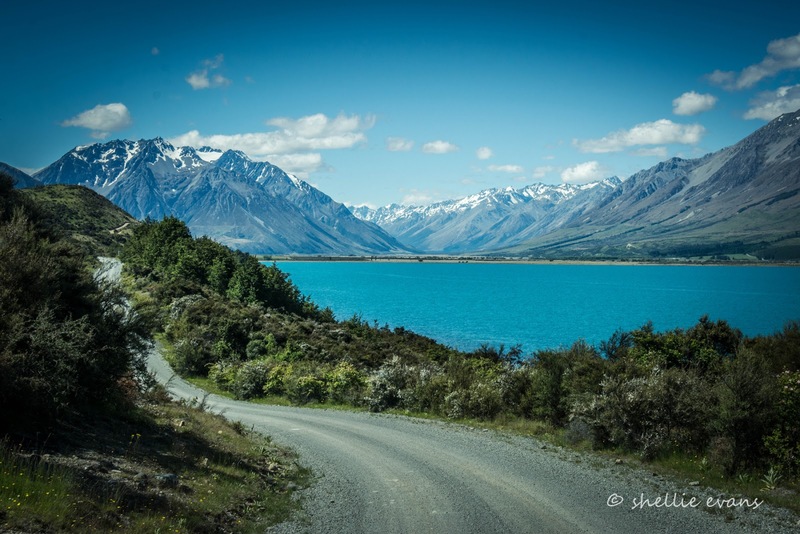 It’s 4WD country even if you can get through. We stop at the Maitland Stream road bridge and decide this is as far as we’ll go today. We scan the stream bed for birds, nothing. But far across the otherside of the valley I spot a very long swathe of colour- hundreds of thousands of lupins. Lupins that are tracking up the valley towards the river sources and the mountains. It’s about now that I realise actually how serious and widespread the lupin problem really is and will be, in the years to come, unless something drastic doesn’t happen soon (which is highly unlikely). 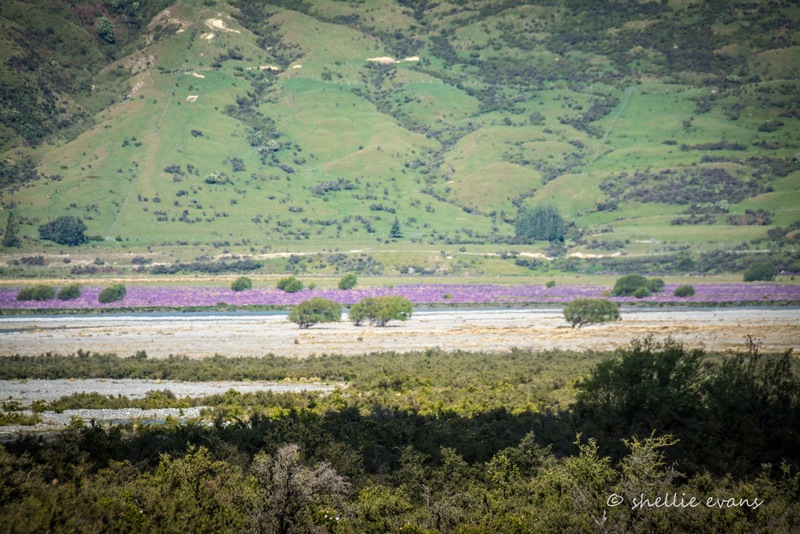 Most people only see the lupins around the tourist hotspots and along the main roads but here they are, dozens of miles away and encroaching into conservation areas. 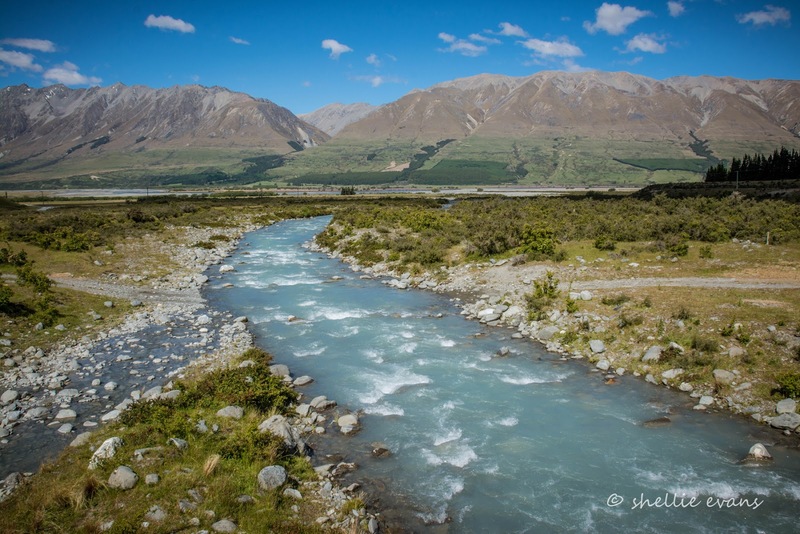 Not only do our vulnerable high country river birds have to avoid introduced pests but they also have to compete with lupins taking over the open stony braided river bed habitats they need for breeding. …and stop along the way to admire at least one successful conservation project- possum control has allowed the endemic mistletoe to survive and flower in the lakeside bush. 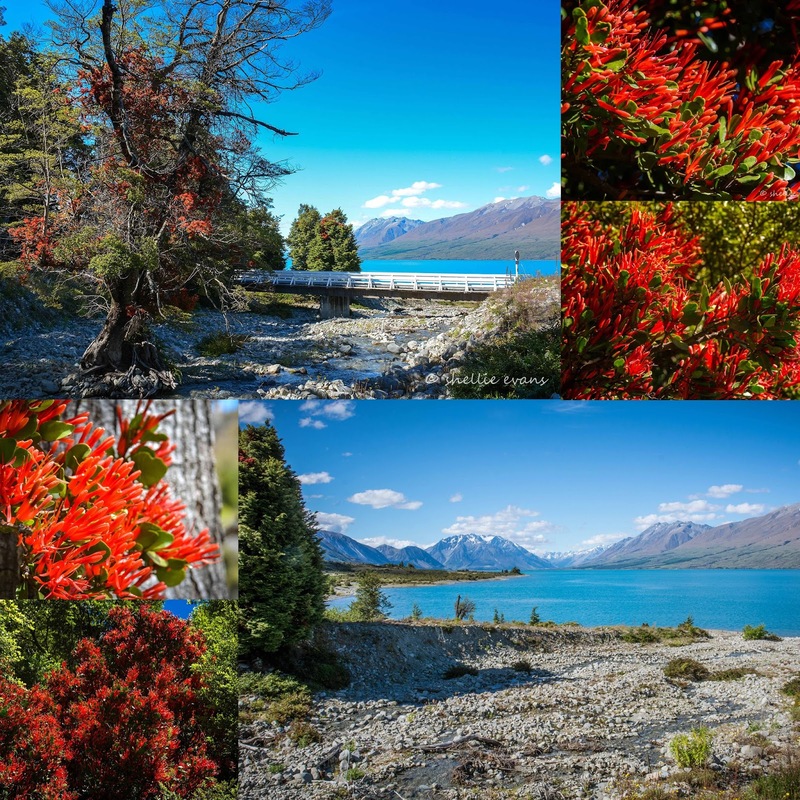 In amongst the deep green of the Southern Beech trees there are dozens of bright splashes of brilliant red. This is the rare and beautiful New Zealand Mistletoe. 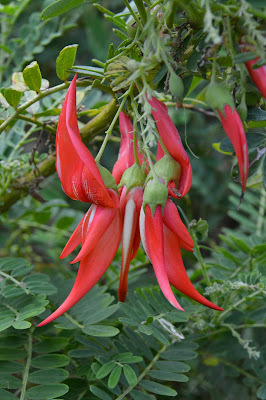 Some of you will remember the photos I posted of the mistletoe in my Christmas blog post, this is where they came from. Here’s what I wrote about it then- ‘the name ‘mistletoe’ is given to plants that use specially adapted roots to extract water and nutrients from the stem tissues of their host plant. Unlike some mistletoe species found in other countries, New Zealand mistletoes usually do not harm their hosts. There are eight unique species of mistletoes in New Zealand, the three Beech mistletoes (Green, Red & Scarlet) are now uncommon in many parts of New Zealand. 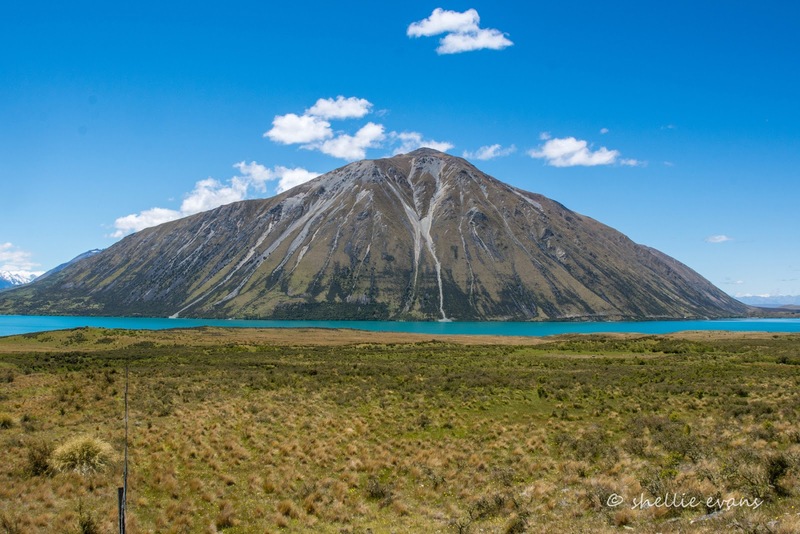 One last close up photo of Ben Ohau. 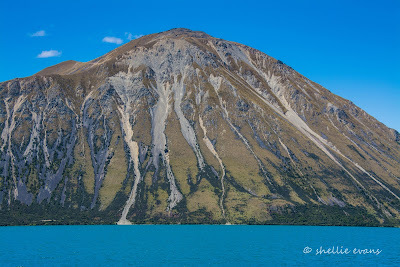 To give you an idea of how large it is, you can see a road running right along the bottom edge of the mountain. 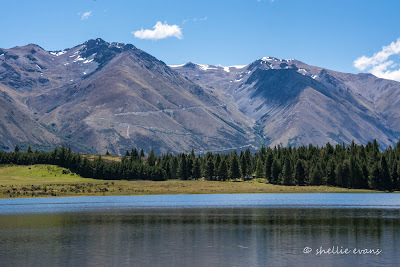 This is Glen Lyon Road and it’s another road we’ll need to explore sometime; it runs even further up the valley on the otherside of the lake (past those lupins) and on up the Dobson River.